The Daughters of Divine Zeal (Figlie del Divino Zelo [FDZ] in Italian) is an international Catholic religious institute of women who offer service to the needs of the Church in various parts of the world. The order was founded by St Annibale Maria Di Francia in Messina, Italy over 120 years ago. St Annibale loved children and the poor but he discovered another and greater poverty as well. It was the lack of good workers. This caused him such pain that he spent his whole life countering it. Delving into the inexhaustible richness of the Gospel he found a pearl of great price. It was the ROGATE pearl. It means “Pray the Lord of the harvest to send workers into his harvest” (Mt 9:37 – 38 and Lk 10:2). From then on this confident and unceasing prayer to God the Father, the Lord of the harvest, becomes his “obsession”, and the “secret of salvation” for so many men and women who would come to know the joy of the Gospel. 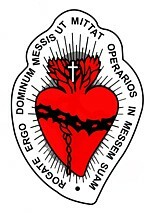 FDZ Sisters wear the emblem of the divine Heart of Jesus along with the words “Pray therefore to the Lord of the harvest to send workers into his harvest.” This is his divine command to us all and forms our institute’s distinctive character. The Daughters of Divine Zeal is a vocation for all vocations – we invite you to pray for and explore vocations with us through this blog.